43, St Annes Road West (The Square), St Annes-on-Sea. 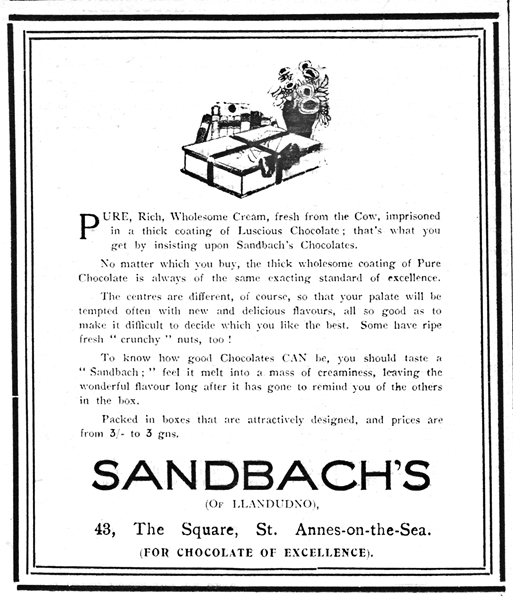 Sandbach's (of Llandudno), Confectioner & Cafe. 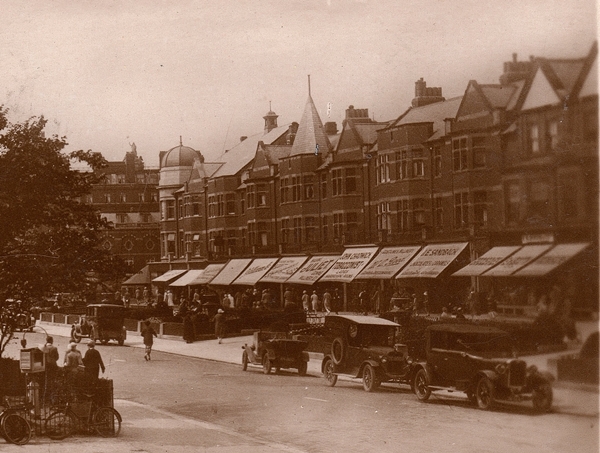 St Annes Road West (The Square), St Annes-on-Sea c1928. Booth's Grocer is the large shop on the right and Sandbach's is alongside. Sandbach's existed from the 1920s until at least the mid-1950s on the seaward side of Booth's Grocer (now Tesco). The premises were more recently occupied by Gregg's Bakers (2014) and now (2017) the Skipton Building Society.